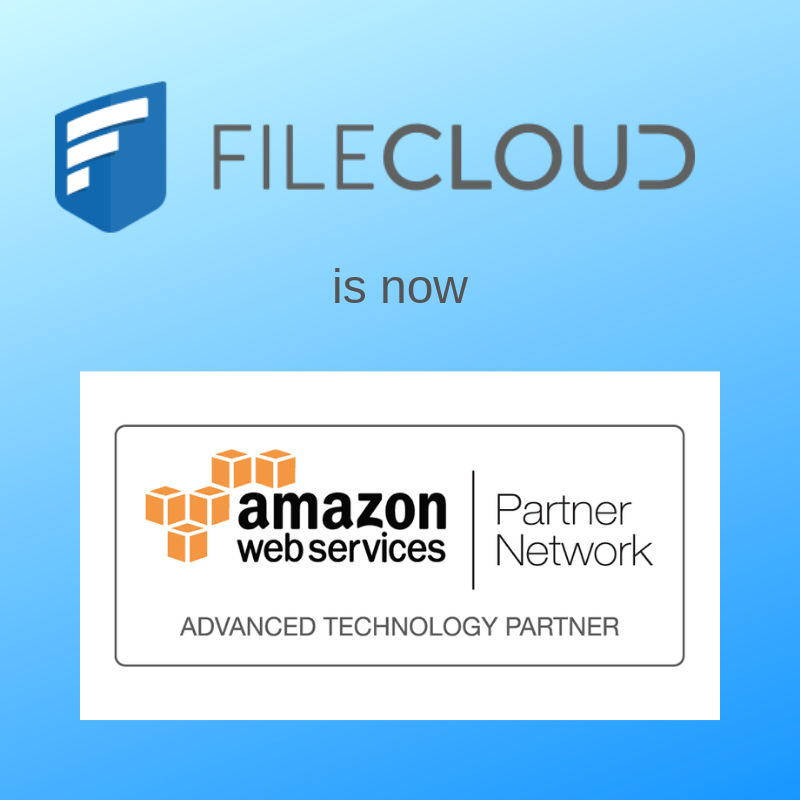 FileCloud, today announced that it has achieved Advanced Technology Partner status in the Amazon Web Services (AWS) Partner Network (APN). FileCloud is a leader in providing a cloud-agnostic file collaboration solution across on-premises and cloud environments. FileCloud allows businesses to run their own branded file sharing, sync, and backup solution on AWS. Customers can leverage the highly-reliability and low-latency of AWS to run FileCloud. APN Advanced Technology Partner status is the highest tier for Technology Partners that provide software and internet solutions in the APN. FileCloud achieved its status through a rigorous qualification process. The designation is based on AWS business history and references from FileCloud customers who are currently using the FileCloud solution on AWS. Achieving this status strengthens FileCloud’s relationship with AWS and includes expertise in AWS Training and Certification for growth and development of FileCloud’s technical resources on AWS. To meet growing data privacy and sovereignty regulations, FileCloud helps organizations to keep data in any specific geographic region. Organizations can select an AWS Region across the US, EU, Canada, Australia, and Asia to store their data. FileCloud is one of the qualification process platforms that can give customers the complete flexibility and choice to decide where their data is stored. FileCloud enables both commercial businesses and federal qualification process to securely manage file collaboration with references from. For more secure collaboration requirements, FileCloud solution on organizations to create secure, branded, file sync growth and solutions for federal and state agencies using AWS GovCloud (US), Amazon Elastic Compute Cloud (Amazon EC2), Amazon Elastic Block Store (Amazon EBS) and Amazon Simple Storage Service (Amazon S3). Find out more about FileCloud: https://www.getfilecloud.com.